Live chat can dramatically increase productivity and efficiency of your customer support agents by allowing them to easily handle multiple chats simultaneously. Having live chat support channel enables you to have real-time conversations with your customers and visitors while they are on your website. And customers absolutely love it because it’s convenient, it’s 100x faster than any other digital service channel and allows them to multitask while getting immediate answers to their questions. In fact, the demand for live chat continues to grow. The 2016 Microsoft’s State of Global Customer Service Report indicated that 60% of consumers ages 18 – 34 regularly use live chat for customer service (compared to 45% across all age groups and 32% of consumers ages 55+). Though Aberdeen Group reported that companies using live chat can save up 50% on support costs, it still remains unclear for a huge number of businesses, especially small ones, whether the tool is worth the investment. In terms of technology cost, live chat appears to be cheaper than phone support as it is cloud based and the software requires only a subscription fee. The telephony infrastructure, on the other hand, usually needs larger investment up-front and regular maintenance costs. Toll-free numbers, for instance, involve not only an ongoing cost to maintain the number, but also per-minute charges for every call. The cost per interaction is also lower with chat support. Aspect Software once estimated back in 2014 that if best practices are followed, the cost per web chat session is around $8-$10, while the average phone call session cost is ranging from $35 to $50 per interaction. While these numbers might differ today, especially considering the growing popularity of AI powered chatbots, agent-powered live chat still remains a cost-effective support channel. Implementing live chat support is also much quicker and easier. Basically, all you need to do is to copy and paste a line of code into the pages of your website and customize the chat window – all can be done in minutes and doesn’t require deep tech skills. Live chat can dramatically increase productivity and efficiency of your customer support agents by allowing them to easily handle multiple chats simultaneously. Thus, you will need a smaller support team as fewer employees can handle more customer support requests in the same period of time. According to the research by Telus International, customer service agents can engage in as many as 6 simultaneous chats, depending on the complexity of the issues involved. However, considering that 79% of customers say that they prefer live chat because of the immediacy it provides, as was stated by Econsultancy, chat agents are usually advised to handle no more than 2-3 concurrent chat sessions, otherwise response time might get longer, while customer satisfaction will drop. A good example could be the following: If you are using an affiliate tracking software to run referral system in your business, you can merely limit the traffic coming from your partners. This can easily backfire during holidays season. The difference in saved and well allocated time can be the reason for success or failure of your prime-time of the year. The 2018 SuperOffice Customer Service Benchmark report found that 62% of companies do not respond to customer service emails, and the average response time to handle a customer service request over 12 hours. That’s an alarming statistics. But when it comes to live chat, response and resolution times are almost instant. In fact, Zopim analysed more than 85K chats in their survey and revealed that on average a chat agent replies a customer query in less than 23 seconds, while average resolution time is no more than 42 seconds. Faster problem resolution time consequently leads to higher customer satisfaction compared to email or voice channels as customers get quick, personalized and efficient support with no need to wait for hours or even days for a reply. By using live chat strategically, you can recommend relevant products to your customers by up-selling and cross-selling to increase the average order value without additional advertising expenses. Internet Retailer discovered that Virgin Airlines up-sold customers with additional products and converted them 3.5x more often with live chat. They managed to do it by targeting specific flights the airline wanted to prioritize for bookings and sending proactive chat invites to customers already browsing these flights. This approach successfully resulted in a 15% increase in average order value while allowing the company to save on answering phone calls or responding to customer emails. The airline also said that the average chat agent could cover the work done by 15 agents focused on emails. Forrester research also found that for customers who chat prior to making a purchase, there is a 10% increase in average order value, a 48% increase in revenue per chat hour, and a 40% conversion rate. Choose live chat software with the right set of features that will meet your business needs and fit into your budget. Luckily, most chat providers offer free trials allowing potential customers to test all the features available with them. Have dedicated customer service agents to handle chat requests quickly and efficiently. There’s no point in offering a live support option if you’re going to leave your customers waiting for a response, instead of giving it immediately. If you can’t offer 24/7 support, disable the chat button or change it to the offline status when your agents are not available to answer chat requests. Outline your chat operating hours to let your site visitors know when they can reach you real-time. Use live chat to the maximum. Train your support staff to make sure they are familiar with all the specific and unique features of the chat tool they are working with and are able to utilize them effectively for better customer service. Develop a strategy for using proactive chat wisely. Don’t overwhelm your website visitors with mass annoying pop-up chat invites that might only irritate them. Remember that targeted and personalized chat invitations always work better. Apart from reducing operational costs, implementing live chat support can result in a number of other competitive benefits for businesses such as increased sales and ROI, boosted customer satisfaction, greater customer engagement, improved customer experience and brand loyalty. 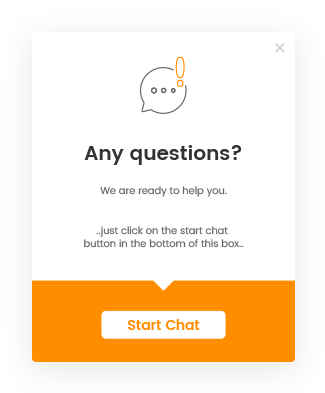 If you are not offering live chat support on your website yet, it might be the right time to start as the tool is worth the investment – and your customers will surely appreciate it. Mary Shulzhenko is a digital marketer, content strategist and a copywriter. She is passionate about writing on customer service, customer experience, small business, marketing and a variety of other business topics. She provides the original content for LiveAgent, an award-winning and the most reviewed help desk software for SMBs.